A divorce can be a huge blow to a family. Unfortunately, it can also have a negative impact on your finances. 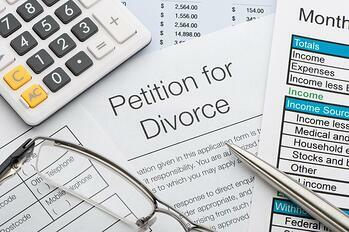 Here are some of the financial aspects of your life that a divorce has the potential to impact. The more assets at stake, the longer (and more expensive) a divorce has the potential to become. Even if the divorce is amicable, you are still looking at possibly a couple of thousand dollars for proceedings. If you didn’t have a prenuptial agreement at the time of your marriage, how your assets are split is determined by the laws in your state. In community property states, property that is obtained during the marriage, minus gifts and inheritance, is considered a joint asset and will be equally divided in the instance of a divorce. For other states, “equitable distribution” takes place. This is where assets are divided according to many factors which are decided by a court. Assets could include items such as a home, furniture, vehicles, retirement plans, artwork, and more. If you’ve been filing jointly prior to your divorce, your taxes may look quite different after your split. Filing as a single may cause the amount of taxes you owe to rise. If there are children involved, only one of the parents will be able to claim them as dependents. It doesn't matter at what point in the year your divorce is finalized, you will be considered 'single' the next time tax season rolls around. Even if it's finalized on December 31st. Many factors go into how much a person may have to pay for alimony and/or child support. For alimony, this includes how long the marriage lasted, how much each spouse was earning, how assets were divided, and more. For child support, money is used for the “reasonable needs” for a child including health care, education, etc. The parent’s income (or earning potential) is also taken into consideration.